Green tea is a very famous beverage and it’s the most consumed tea in the world. According to studies, regularly drinking green tea may reduce your risk of developing heart disease or Alzheimer’s, help you maintain better bone mineral density, ward off eye diseases that affect vision in older age, prevent strokes, and even green tea can extend your life. Green tea consists of leaves that haven’t been fermented so they contain the highest level of antioxidants. For example, flavonoid antioxidants account for about 30 percent of the dry weight of green tea leaves. Green tea has antioxidants and healing compounds including polyphenols, catechins and various other types of flavonoids — the same anti-aging compounds found in things for example blueberries, and dark chocolate. Green tea contains small amounts of caffeine. It has been associated with more health benefits than even many of the healthiest foods available to us. Studies have found that the benefits of green tea are due to the fact that green tea contains more healing compounds than many other herbs, spices, fruits, vegetables, and that makes it a healthy beverage. Green tea promotes better health and longevity. Some of the benefits of green tea associated with the consumption of these compounds include reduced allergies, eye health and better vision, skin health, improved immune function, enhanced endurance, and protection from free radical damage and cancer. Green tea protects your brain cells from free radical damage. Green tea helps protect the heart health. Most of the green teas available in the supermarkets are simply labeled as green tea. There are several different types of green teas available in the supermarkets. Gunpowder tea originates from the Zhejiang Province in China. Its name comes from its resemblance to gunpowder; during processing, the leaves are rolled into small, irregular pellets. This tea has a bold, slightly smoky taste. Gunpowder tea is inexpensive and has a long shelf life, but it lacks the character of finer teas. Dragonwell tea, also called Lung Ching tea, is a brightly colored fine tea and a favorite of connoisseurs. It is more expensive than most other varieties, and only limited amounts are produced. This is very popular green tea. Sencha tea comes from Japan. This tea is processed without grinding the leaves. Sencha green tea is an everyday tea that tastes slightly sweeter than other green teas. It is less expensive than Dragonwell tea. A cheaper version of Sencha green tea is called Bancha. Macha green tea is a high-quality tea product in the form of a finely milled powder. It is an expensive and luxurious choice with a sweetness that rivals the finest dessert teas. It is sometimes used to flavor or color foods such as green tea ice cream and soba noodles. This superior grade green tea is prized and highly sought after. Whenever you want to buy and want to enjoy this green tea select tea leaves are shade grown for two weeks then promptly deep steamed after harvesting, maintaining elevated levels of chlorophyll and resulting in a bright green vegetal cup. Those who drank green tea per day received the greatest health benefits but two or three cups per day is a reasonable amount to drink. A well-known compound found in green tea is called EGCG (which stands for epigallocatechin-3-gallate). EGCG is associated with enhanced metabolic activities that may prevent weight gain or assist with weight maintenance. Some of the ways that EGCG seems to work is by boosting thermogenesis and suppressing appetite. Green tea contains many other compounds, including, Quercetin, Linoleic acid, Methylxanthines, caffeine, theobromine, theophylline. Volatile compounds like aldehydes, alcohols, esters, lactones, and hydrocarbons. Gunpowder green tea is my favorite green tea. Types of Gunpowder green tea can be found in different forms, based on the type of leaves. Gunpowder green tea comes from the Camellia sinensis plant, just like all varieties of green tea. All green teas leaves are same but Gunpowder green tea presented a bit differently. Gunpowder tea leaves are rolled into small pellets that expand when steeped, releasing the flavor and nutrients. The tea’s health rewards mainly come from flavonoids called catechins, which influence cell-signaling pathways. You should drink gunpowder green tea if you suffer from obesity, diabetes, fatigue, chronic disease, indigestion, cold, flu, infection, coronary heart disease and high cholesterol. The catechins that found in every variety of green tea can have a direct effect on inflammation, both in the gut and in other parts of the body. If you are suffering from Crohn’s disease, ulcerative colitis, Irritable Bowel Syndrome (IBS), constipation,cramping, and bloating, a cup of gunpowder will help you to feel good. Gunpowder green tea is an excellent energy booster, particularly for those who want to avoid the acidity of coffee and tea. 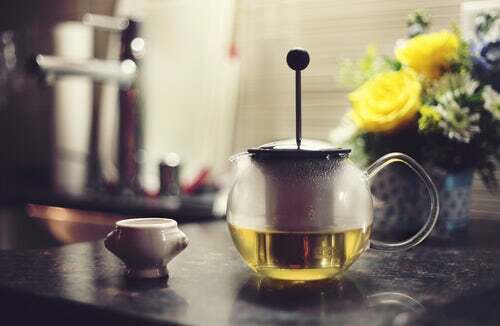 The preparation of this type of green tea gives it an even higher caffeine content than normal teas, though not as high as a standard cup of coffee. Gunpowder green tea helps you to lose weight. 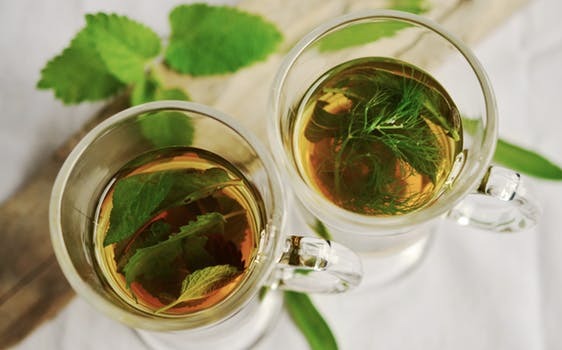 These three things caffeine, catechins, and theanine in gunpowder green tea work together to give the metabolism a boost, which increases the body’s ability to burn fat efficiently. There are also some appetite-suppressing qualities of caffeine that can help you avoid overeating and snacking between meals. The powerful trio of catechins, caffeine, and theanine present in gunpowder green tea burns the fat and builds the muscle. Green tea helps to boost your metabolic rate, therefore assisting you in burning fat. You can consume a cup of gunpowder green tea as a pre-workout drink. Unlike other types of green tea, gunpowder green tea has higher caffeine content, which accelerates the rate of fat burn. Studies have shown that the antioxidants found in gunpowder green tea are able to lower triglyceride levels in the body, which is bad cholesterol that leads to plaque deposition, heart attacks, and strokes. By rebalancing your cholesterol levels, you can relieve a lot of stress on your cardiovascular system. The antioxidants and polyphenols in gunpowder green tea have a general impact on the immune system that revitalizes the body’s defenses and prevents infections, such as the common cold and flu. The effects on our body, drinking gunpowder green tea include higher chances of anxiety, gastrointestinal troubles, and kidney stones, insomnia, but when gunpowder green tea is consumed in moderation, most of these side effects can be avoided. The caffeine content of gunpowder green tea is higher than all other green tea varieties, which means that it has more of a stimulant effect on the body. For people who are sensitive to stimulants, anxiety can be a side effect, particularly if more than 2 cups of this tea are consumed each day. The EGCG antioxidant present in gunpowder green tea fights against free radicals, thereby inhibiting the growth of cancer cells. The flavonoids, catechins, and minerals present in this tea improve your metabolism too. Improving glucose tolerance and insulin sensibility can help control diabetes. This is exactly what gunpowder green tea does to your body. It lowers the cholesterol and triglyceride levels, as a result, preventing type II diabetes. Apart from these benefits, gunpowder green tea also rejuvenates your mind and gives you the much-needed energy. Consume 2-3 cups of gunpowder green tea daily to reap its benefits. You can have sleep problems as with any caffeinated beverage. Gunpowder green tea can prevent you from falling asleep, due to the stimulating nature of the chemical. If you struggle with insomnia or disturbed sleep or if you are sensitive to caffeine, avoid drinking this tea in the afternoon or evening. Gunpowder green tea has caffeine, which can cause indigestion or discomfort, particularly when consumed on an empty stomach or in excess. Research has shown that drinking too much green tea can increase your likelihood of developing kidney stones. However, limiting your intake of this tea to 1-2 cups per day should protect you from this risk. You can prepare gunpowder green tea at home using nothing more than rolled up gunpowder tea leaves and hot water. Gunpowder tea leaves are processed and prepared in a specific area of China. Therefore, you will use dried gunpowder tea leaves at-home brew. Gunpowder green tea is ready. Enjoy gunpowder green tea with its many health benefits. Health Best tea for health, Green tea health benefits and side effects, Healthy reasons drinking green tea, Which one is famous green tea?